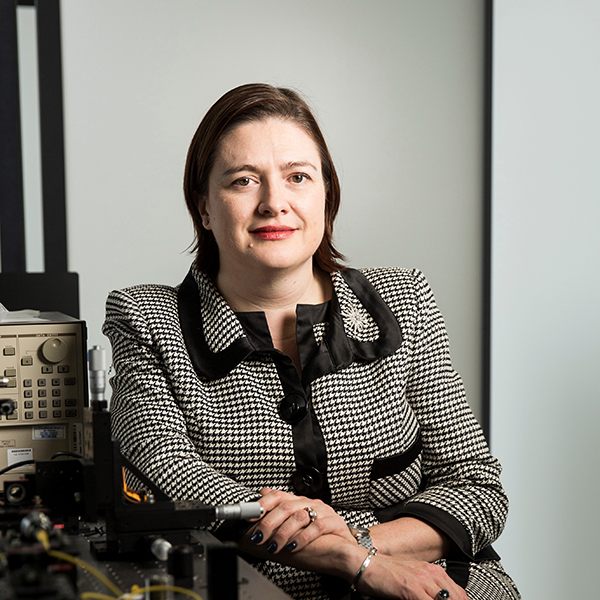 Professor Tanya Monro took up the role of Deputy Vice Chancellor & President: Research and Innovation in November 2014. The ARC Georgina Sweet Laureate Fellow at the University of South Australia, Prof Monro was the inaugural Director of the Institute for Photonics and Advanced Sensing (IPAS) from 2008 to 2014 and was also inaugural Director for the ARC Centre of Excellence for Nanoscale BioPhotonics, at the University of Adelaide. Her research is in the field of photonics, with a focus on sensing, lasers and new classes of optical fibres. Tanya’s awards include: Eureka Prize for Excellence in Interdisciplinary Scientific Research, the Bragg Gold Medal (best Physics PhD in Australia), South Australia’s “Australian of the Year”, Scopus Young Researcher of the Year, South Australian Scientist of the Year, and the Prime Minister’s Malcolm McIntosh Prize for Physical Scientist of the Year. Tanya is Fellow of the Australian Academy of Science (AAS), the Australian Academy of Technological Sciences and Engineering (ATSE), and serves as a member on elite boards such as the Prime Minister’s Commonwealth Science Council and the Commonwealth Science and Industrial Research Organisation (CSIRO).